Happy Monday everyone! I hope you had a super awesome weekend! I had a terrific weekend but I’m a little sore and slightly injured. haha! Saturday morning I woke up and attended Isaac’s Opening Day Ceremonies and his first t-ball game! I played baseball from age 5-18 so I was very excited when Isaac told Alana and I that he wanted to play baseball. Would I do it again? Absolutely! It was so much fun and I’m so glad I challenged myself to do it. The best part was having Isaac running along side me towards the finish line yelling “GO DADDY GO!” At this point my legs were like spaghetti but his little voice gave me that extra motivation to push through. Afterward he came up to me and said “Daddy, I’m so proud of you!! Good job daddy!” He wouldn’t hug me but I could tell he wanted to. Those words made all my pain worth it!It felt so good to cross that finish line! I challenged myself and succeeded but I also put something in the mind of a little boy that told him he can do anything he wants to if he works hard at it. That was better than the race itself. 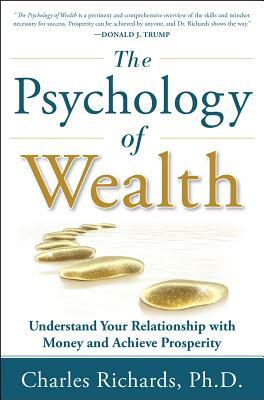 Today I will be giving away 3 copies of The Psychology of Wealth book to readers in the US and Canada. I was hoping to provide you with a review of this book but I have not had time to read the book myself. I’ll be doing a a review in the future because I think the psychology of money and wealth is what Enemy of Debt is all about. Figuring out why you do what you do with money and how to change bad behaviors is the key to any successful financial plan. Author Charles Richards, PhD wants to help you understand your relationship with money and achieve prosperity. We all know life is about relationships, but have you thought about your relationship with money? In The Psychology of Wealth, Dr. Charles Richards reveals how your attitude towards wealth dramatically influences whether you achieve your life dreams and financial goals. He provides insight and tools you need to strengthen this vital relationship. People who enjoy a healthy relationship with money share common habits and traits. So how do they think, and what do they do differently? Are these behaviors hardwired in an individual’s psyche, or can they be learned? I will be selecting a winner on Friday so you have until Thursday night at midnight (EST) to enter to win. To enter all you have to do is leave a comment below expressing your interest in winning this book. That is all! would be good read. Psychology and wealth! thanks for the opportunity. I’d love to win. I’m curious to see whether I can change my own habits and be better at managing money! I would love, love (did I say LOVE) to win this book? Big fan, would love it! Good luck to everyone who is entering! This book sound fascinating. I have a strong interest in the psychology behind debt/wealth and the like. I look forward to your review Brad so I can hear all about it. Congrats on the accomplishments! 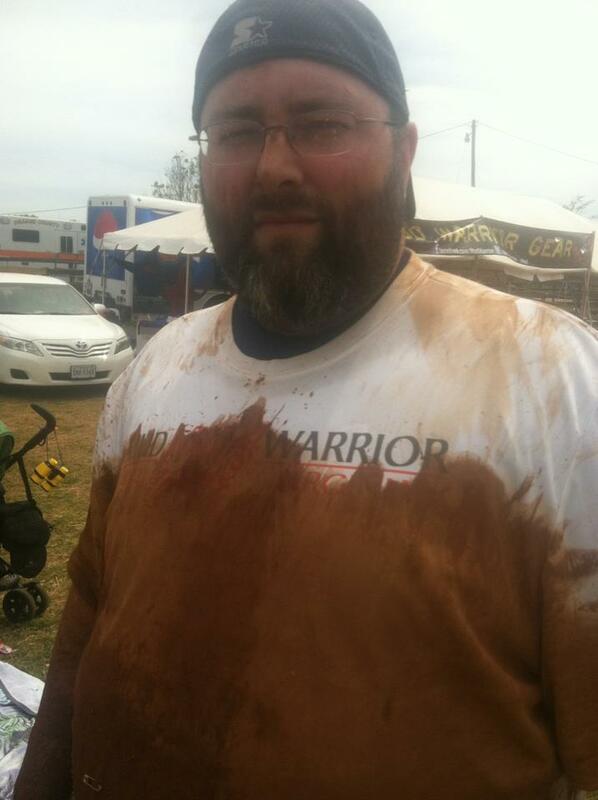 That mud run sounds like fun! Hopefully, your recovery is still going well. I too would love to win the book, and I appreciate the opportunity to enter to win! Thanks! I am looking forward to winning and reading this book! I have cut my debts severely over the last 5 years and down from 2 car payments, 4 credit cards balances, a line of credit, and 2 student loan balances, thanks largely to Take Charge America and Dave Ramsey, I only have a small amount left on one credit card, and my bigger student loan! I’d love to read it, and I’ll be glad to review! Psychology & money are my 2 favorite subjects, so this sounds like a book I’d love. Thank you for the contest. I’d love to win any book that will help me manage my finances better! Thanks for the opportunity. This book looks great. A great way to stay motivated to keep on track with our debt. I love your site and look forward to reading it daily! I think this book would be a very interesting read. Ive known what it is to live in poverty & debt & ive heard more & more the reason is how you see yourself & money. i intend to use the wealth i will get to help others in catastrophes by Gods Grace. I have interests, too many interests to list. 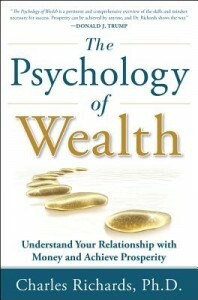 One of those interests is to win this The Psychology of Wealth book. Thank you. Hmmm a new psychology about wealth would be helpful! Sign me up! Interesting looking, I have not heard of this before. I’d love the opportunity to give it a read. I’m doing Dave Ramsey’s Financial Peace University class right now. I’d love to win this book and read it! I’m not so good with money and I’m sure it affects my attitude towards it as well! It sounds like an interesting and fun read. Bad psychology got me into debt, and good psychology can get me out. Hopefully this book would help me better understand why I made some bad decisions so that I don’t continue to repeat them. Insanity is doing the same thing over and over and expecting different results.